The Hawaiʻi Housing Finance and Development Corporation (HHFDC) is partnering with SMS Research to conduct a phone survey to gather data on the supply and demand for housing. The phone survey will start on the week of Jan. 7, 2019 and be completed over the next two months. “The 2019 Hawaiʻi Housing Planning Study is designed to evaluate housing demand and conditions and will provide valuable data to plan housing programs,” executive director of HHFDC Craig K. Hirai said. Gather and analyze data on the demographic and economic characteristics of households in Hawaiʻi, the supply of housing in the short-run (two to five years) and long-run (five to 20 years) by specific geographic areas, income groups and Native Hawaiian status, and measure demand and trade-offs for different housing options. Project statewide and county need of HUD income groups, elderly households, persons with special housing needs, at-risk homeless, and Native Hawaiian status. Provide a statewide and county inventory, including government-assisted units and military housing on and off base. 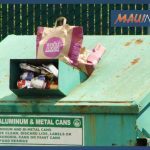 “Folks in Hawai‘i have always been generous in answering this survey and we hope they can spare some time again this year. 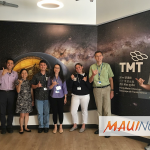 The data will be even more important this year because it looks like Hawaii will be building a lot more affordable housing over the next few years,” president of SMS Jim Dannemiller stated. 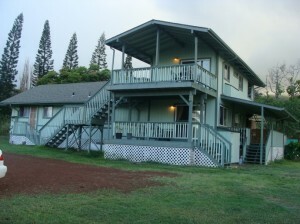 Other participants in the study include the Department of Hawaiian Home Lands, Hawaiʻi Public Housing Authority, Homeless Programs Office of the Department of Human Services, Office of Hawaiian Affairs, Department of Community Services, City and County of Honolulu, Office of Housing and Community Development, County of Hawaiʻi, Kauaʻi County Housing Agency, County of Kauaʻi, and Department of Housing and Human Concerns, County of Maui.